“I'm lost,” I say under my breath, deciding to head up a nearby hill in the hopes of getting a better look at the surrounding area. I've only been in Red Creek Valley half an hour and already I've become enchanted by its haunting atmosphere. I'm practically spinning in circles at this point, my eyes pulled in every direction as something new and interesting comes into view. Of course, that's the kind of behavior that landed me in this predicament in the first place. I wandered off course because something in the forest caught my attention. Then something else caught my attention, this time pulling me even deeper into the towering trees. Next thing I knew, I was surrounded by an ocean of moaning branches and gently swaying, knee-high grass. I figure that by the time I reach the top of the hill, I'll be able to spot the train tracks I had been following and get myself pointed in the right direction. As the pines give way to a bit of a clearing, I find myself once again drawn into the beauty of this town on the verge of sunset. A pair of ancient trees stand guard at the summit, their nearly bare branches crawling like spiderwebs into the clouds. “Too bad I don't have a camera,” I think to myself, walking around the clearing, crouching down and easing forward until I find what I consider to be a fantastic view at the scene before me. Then it occurs to me that I kind of do have a camera. 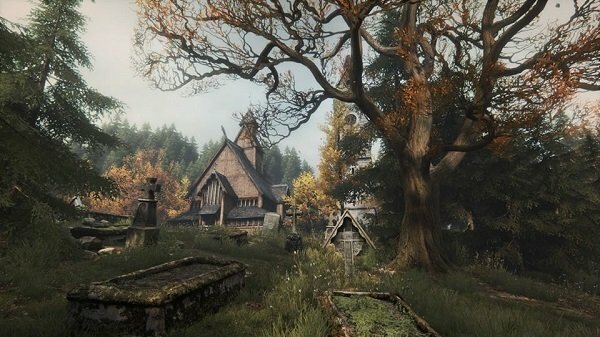 I shift my left thumb slightly and hit the “Share” button on my PlayStation 4 controller, a screen popping up to let me know that the image I've found so captivating in The Vanishing of Ethan Carter has been saved. 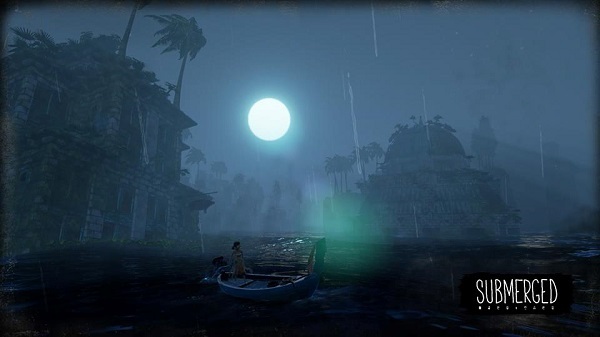 This certainly wasn't the first time I'd been taken in by how enchanting a video game could be, but it was the first time I decided to snap an in-game picture so I could share that view with the rest of the world. You see, photography is a big part of my day job. I used to love snapping pictures but, like anything you do for a living, sometimes a thing that you were once passionate about simply becomes “work.” I used to carry a camera everywhere I went, just in case I came across something worth shooting. Now, though, I'm the guy who gets frustrated if folks want me to start taking photos at a social gathering. It's my job, remember, so it's no longer something I get a lot of kicks out of when I'm not on the clock. That is, of course, a terrible way of looking at things (and something I hope to work on moving forward), but I tell that anecdote so you'll understand how unlike me it is to want to go into “photography mode” when I'm not at work. It's even more surprising when you consider the fact that I'm playing a game, something I frequently do to get away from anything that even vaguely resembles work. Honestly, I couldn't tell you what made me change my mind while playing Ethan Carter. Sure, it's a gorgeous game, but I've played lots of equally lovely games over the years. Maybe it has something to do with the fact that this is one of those rare games that doesn't have a HUD. Or perhaps it's the fact that the Share feature on the PS4 controller makes capturing these moments almost effortless. For whatever reason, I found myself excited about the idea of photography again, and it took a game to make me feel that way. I'm not so naïve as to think I've created some sort of new art form here. Screenshots have been around since the dawn of video games, after all, and I've certainly heard about video game photography before. But now it's something I'm genuinely interested in exploring. And that's exactly what I've done. In my research to better understand the history of video game photography—and specifically why it would suddenly draw me in after all these years—I stumbled upon an interesting take on the art form from Motherboard. In short, since the game world becomes real in its own right, it makes sense that I would want to explore that reality in more personal ways. Photographer Elliott Erwitt offers his own insight into the phenomenon. If that doesn't describe what I experienced on that hill in The Vanishing of Ethan Carter, I don't know what does. Perhaps it took this perfect storm of a game to finally trigger this interest in me. It's a single player experience with no time limit, pending quests or heavy action. I was dropped into a lovingly-crafted world and given free reign to explore it. That kind of gaming experience doesn't pop up too often. I love video games, and I think there's something truly magical about the fact that people are able to craft these amazing worlds with nothing but their own artistic ability and a hell of a lot of math. 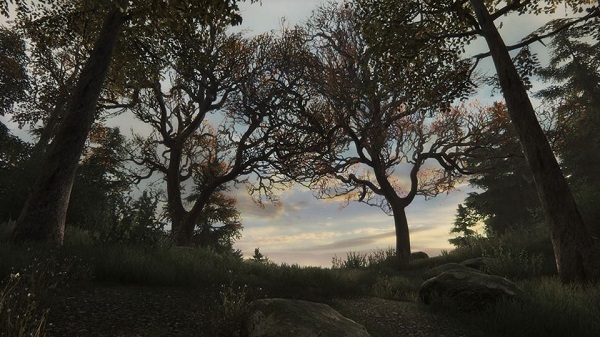 While more and more games allow for happy accidents to take place I know that, in this case, someone put those trees up on that hill in Ethan Carter and positioning them in such a way that they'd grab the attention of the player and ignite their imagination. In this particular case, it worked. Now that I've finished the story, I plan on diving back into Ethan Carter with the specific goal of looking for great photography opportunities. This has gotten me trying to think of other games that would work well for this kind of hobby within a hobby, too. Journey seems like an obvious choice, as does something as dark and simplistic as a game like Limbo. I am, of course, open to other suggestions. I may not have a professional setup and the images I export won't be of the best quality, but I'm looking forward to exploring this further. It all harkens back to what Elliott Erwitt said about photography in general: We all see the same world. Now I'm interested in sharing how I see it with others.